SIM cards and top-ups are available widely in Thailand from the major carriers (the big three: AIS, dtac and True Move H) as well as a number of smaller 'boutique' provides that lease government bandwidth and equipment or MVNO (such as iMobile). Purchase of a new sim card/number is easy, and can be done at operator's shops and any 7-11 as well as at many airport kiosks. In the Southernmost regions, registration and the production of ID (such as passport for non-Thais) may be required. All of the big three operators do stock all SIM card sizes from normal, micro SIM to nano SIM. Normally the micro SIM card can be popped out from the normal SIM card but the nanoSIMs are often sold separately. It is advised that you request to the staff that you want which SIM card size before you buy. All of the operators also allow data tethering. All of them treat all data going through their network equally therefore your plan would include tethering by default to be used and shared to your other devices. If you are using an iPhone, you may need to perform a network reset or a carrier update for the mobile tethering option to appear. Normally Thai SIM cards expire 45 days after the last top up, so called Tourist Cards sometimes even sooner. So It's very hard to keep them alive outside of the country, but start-up prices for new starter packs are minimal. For voice calling overseas heavily reduced rates as low as VoIP providers are offered by the three majors using special IDD codes. Let them give you the cheapest option for your destination which has to be dialled before the country code. Over the past years there have been massive changes to all the major operators' networks and coverage due to the shift to newly auctioned mobile spectra. Before you purchase any SIM cards, please make sure that the network you are choosing are compatible with your smartphones or devices. It is also worth mentioning that the big three networks now have separate networks operating on more than one set of frequencies. It is unlikely that these networks would sell SIM cards for their older networks. But if you happen to use their older SIM cards, you would not be able to connect to their newer 3G or LTE networks. Operators' new SIM cards usually would roam back to their older networks once you are out of their coverage area (i.e. rural) and you may not not get full 3G speeds whilst on roaming. 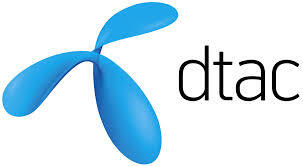 4G/LTE has started with dtac and TrueMove on 2100 Mhz in 2013/14 mainly in the Bangkok metropolitan area. 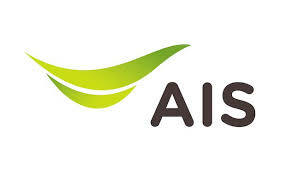 AIS is known to have the largest network in the nation with the largest number of users. It may has the best coverage but often suffers from low speed and congestion. Their prepaid products are called 1-2-Call. Where possible, make sure with the staff that you want an "AIS 3G 1-2-Call" because some 1-2-Call SIM cards are for their older 2G networks. AIS is part of the larger SingTel telecommunications companies that also own Optus in Australia and SingTel in Singapore. You can get their SIM cards from almost everywhere but if you prefer you can obtain it directly from their stores which are sometimes called Telewiz. Their internet prepay SIM cards are called the Freedom 3G NETSIM and they come in different varieties such as NETSIM, MICRO NETSIM and UNLIMITED NETSIM. They all cost 50 Baht (USD 1.6) each and the only difference between each of them is what you get from the first 50 Baht that comes with the SIM. To simply put: it does not really matter which of the NETSIM you need to buy. Here are the available packages which you will have to purchase once you have already topped up enough money into your account. The top-up can also be done at any convenience stores such as 7-Elevens or you can just do this at their own stores. For the plans that include Wi-Fi, you must first obtain your username and password by dial 388#88# and then you can connect any of your device (can be your laptop or a tablet) to any AIS Wi-Fi or 3BB Wi-Fi nationwide. The Wi-Fi usage is unlimited. in case you have not subscribed to any of these packages data are 1.50 Baht per MB. for 299 THB you get 7-days internet with 1.5 GB high speed data, 100 THB credit with 30 days validity. The SIMs are available at their store at Suvarnabhumi Airport or other stores, 7-11, Family Mart and more outlets. When used up the speed will be throttled from 42 Mbps to 64 kbps. You can get their SIM cards from almost any shop including the airports, but if you prefer you can obtain it directly from their stores. You can also find the Tourist SIM on Amazon.com. Calls are 1.25 Baht per minute and texts are 3 Baht per domestic SMS and 5 for international. Excess data is charged at 10 Baht per MB. You can actually buy their Tourist SIM online here and get it shipped overseas for a THB 350 surcharge worldwide. You can simply get any of their prepaid SIM cards. It almost does not matter which one you get as long as it is the prepaid Happy on Trinet SIM cards. The SIM card would cost you 49 Baht (USD 1.6) and include very little value you can use (similar to AIS above). You are expected to top up almost immediately to be able to make long calls and use data. For the plans that include Wi-Fi, you must first obtain your username and password by dial *4000# and then you can connect any of your device (can be your laptop or a tablet) to all DTAC Wi-Fi hotspots. The Wi-Fi usage is unlimited. And the following are the data-based plans (not unlimited). If you finish your data, then you would be charged per every excess MB. TrueMove H is Thailand's third largest network. They were the first provider in to bring 4G/LTE on 2100 Mhz to Thailand despite limited coverage in the Bangkok area and 14 further cities 4G coverage map in Thai (use Google Translate) like Pattaya, Koh Samui, Phuket. They are part of the larger True Corp conglomerates, which is also owned by CP Group which owns 7-Eleven and Tesco stores in Thailand. One thing you should know is that TrueMove and TrueMove H are two different networks (but they are both owned by the same company). TrueMove is no longer allowed to sell their new SIM cards as their license to operate has come to an end. Customers from the existing TrueMove networks are being transferred to the new TrueMove H.
You can get their SIM cards from almost everywhere but if you prefer you can obtain it directly from any of the True Corp stores (including True Online and True Visions stores). Electronic top ups at all 7-11 stores or Family Mart. Value Pack: 299 THB, 1 GB high speed data, throttle to 128 kbps, 100 THB call credit valid for 30 days. Calls are 1 Baht per minute and texts are 2 Baht per domestic SMS and 5 for international. After the included bundle has expired, then you can buy normal top-up packs below. You can simply get any of their prepaid SIM cards. It almost does not matter which one you get as long as it is the prepaid SIM cards. The SIM card would cost you 49 Baht (USD 1.6) and include very little value you can use (similar to AIS and dtac above). You are expected to top up almost immediately to be able to make long calls and use data. For the plans that include Wi-Fi, you must connect to the @TRUEWIFI hotspots (not the . @ TRUEWIFI) and then log-in using your phone number. You must also log out after you finish. If you finish your data, then you would be charged at 1 Baht per MB. When data is used up, speed will be throttled to 384 kbps. Default rate outside package is 1 THB/MB. MBK Phone Floor - Scratch cards, phone to phone and printable vouchers.